Welcome to ProBrewer.com, a resource serving all trades of the beer business. 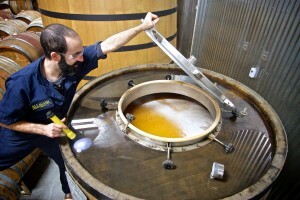 Within the pages of ProBrewer.com, you will find numerous tools and materials to assist you in your endeavors within the beer business, from the technical side of brewing to sales and distribution - and everything in between. ProBrewer.com is dedicated to empowering the beer industry through the dissemination of comprehensive, current and relevant information. The expected wave of ‘craft on craft’ mergers is beginning to show signs of life. The latest merger of two craft breweries was announced yesterday with Mammoth Brewing in Mammoth, CA acquiring Great Basin Brewing in Reno, NV. Great Basin and Mammoth Brewing will continue as different craft breweries, with Greta Basin founder, Tom Young staying on as Great Basin brewmaster. Sean Turner, co-owner of Mammoth will oversee operations and sales at both breweries. Expect more craft on craft acquisitions in the coming year as small breweries struggle with inefficiencies and a hyper-competitive market. In a video statement, McKean stated that the company was “trying to stay independent” rather than take the “easy route out” by partnering with a strategic partner or venture capital firm. The $30 million company is currently distributed in seven states and has five tasting rooms in San Diego, LA, and Portland, with three more CA locations in construction.